PSA Group has bought GM’s European brands for €2.2 billion ($A3.1b) in a move Holden says will not impact its future line-up. PSA Group – Peugeot, DS and Citroen's parent company – has reached an agreement with General Motors to purchase its European brands, Opel and Vauxhall, in the fourth quarter of this year for a sum of €1.3 billion ($A1.8b) and €0.9 billion ($A1.3b) respectively. This merger will result in PSA becoming Europe's second-largest automotive operation with a 17 per cent market share, just behind Volkswagen Group. Implications Down Under are likely as Australian GM brand Holden sources many of its models from Opel, especially as it becomes a full-time importer from October when local manufacturing of the Commodore ceases. Holden and Opel have had close ties for many years and delivered fantastic vehicles to Australian customers. The good news is these product programs are not affected at all. However, a representative from the Red Lion has confirmed that the current product line-up will not be affected. For the foreseeable future, Holden will continue with its plans to progressively source some of its new models from Europe via the now French-owned brand. “We will continue to work closely with Opel and GM to deliver our vehicle plans with excellence and precision. This includes future, new right-hand-drive SUVs like the Equinox and Acadia that were engineered specifically for right-hand drive markets,” the local company said. Despite parting ways with Opel and Vauxhall, overseas reports continue to allege that GM will continue to be involved in the European luxury market with its Cadillac and Chevrolet brands. 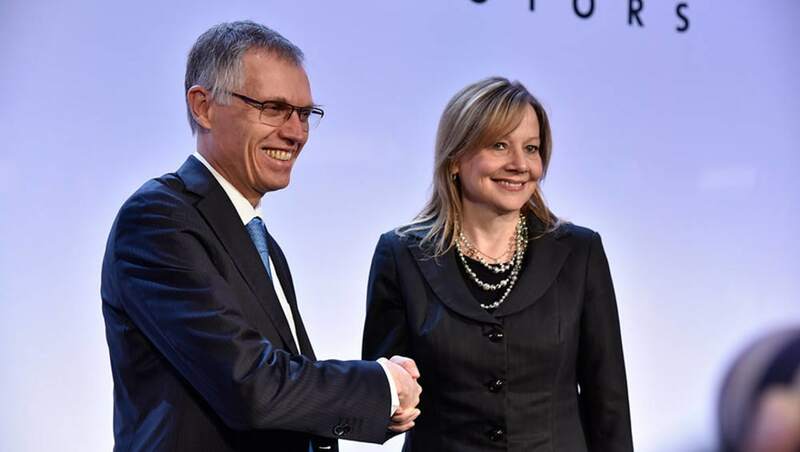 PSA chairman Carlos Tavares said the acquisition of GM's European brands will provide strong foundations for his French company to continue its growth on local and international scales. “We are proud to join forces with Opel/Vauxhall and are deeply committed to continuing to develop this great company and accelerating its turnaround,” he said. “We welcome all that has been done by its talented teams and the beautiful Opel and Vauxhall brands and the exceptional heritage of the company. We intend to manage PSA and Opel/Vauxhall capitalising on their brand identities. General Motors president and CEO Mary Barra followed the sentiment of Mr Tavares with her own comments on the sale. “We are pleased to have together, we GM, our colleagues of Opel/Vauxhall and PSA, a new opportunity to increase the long-term performance of our companies relying on the success of our alliance,” she said. Ms Barra also revealed that the changing of hands will not affect existing collaborative projects between the two companies, as well as any potential ventures for future products. “We are confident that this new chapter will further strengthen Opel and Vauxhall in the long term and we look forward to contributing to the future success and PSA value creation potential through our common economic interests and an ongoing collaboration on existing projects but also on other exciting projects to come,” she said. A new partnership between PSA Group and international banking group BNP Paribas will become responsible for managing GM'S financial operations in Europe – with each company holding a 50 per cent stake. PSA anticipates the new deals will allow it to increase its purchasing, production and R&D, with the conglomerate forecasting “synergies” of €1.7b ($A2.4b) by 2026 – but most of that sum will be achieved by 2020. By 2020, Opel/Vauxhall operating margins will increase to 2.0 per cent and will eventually reach 6.0 per cent by 2026, PSA Group said. Do you have much faith in a post-PSA Holden? Tell us what you think in the comments below.